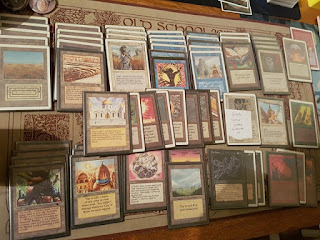 The tenth world championship of Old School Magic is in the books! 17 countries, around 40 communities and 122 players packed their spells and went to Gothenburg to show who's who in the format. This was the craziest weekend of Magic I've experienced yet. 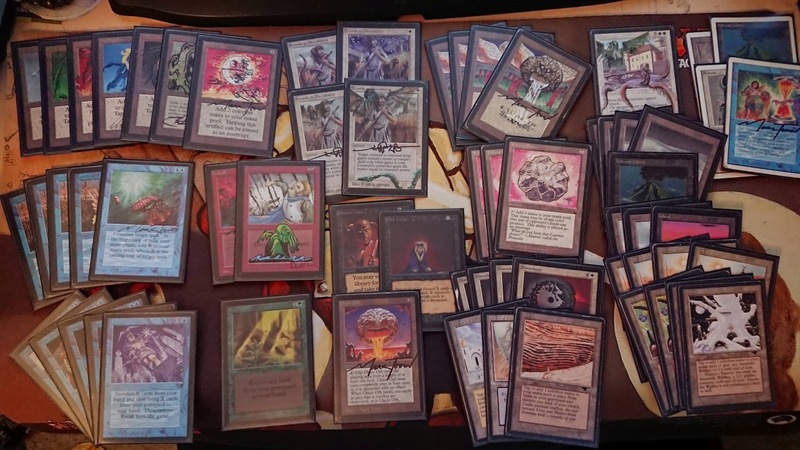 From the bag of crazy that that was the Wizards' Tournament, to the largest gathering of old school players yet at n00bcon X, to the smaller main tournament hosted in the depths of Gothenburg the day after. I can find no word for this better than simply "Magic". And that's with me not even playing in any of the events except the Wizards' Tournament. It says something special about the people when I don't feel bad missing out playing the main tournament but rather just feel excited to meet all the people. I could go on for days sharing the joy I feel being a part of this community. There are so many stories. I don't know where to start, nor where I should stop. 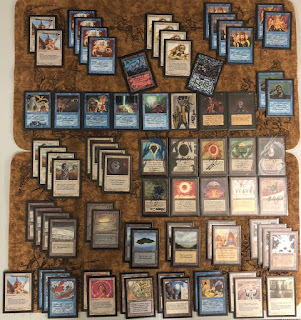 A few people have already shared their stories, like Dave Firth Bard at the All Tings Considered podcast. And of course there's hours and hours of the video stream up on Wak-Wak. So right know I'll keep my own anecdotes short and just say this. Thank you. Thank you for being good people I love hanging out with even when I'm not drawing an opening seven. Thank you for how much you care and how much effort you put into making other people here welcome. And in particular on a personal level, thank you all who provided the wonderful Easter Egg gifts to me. I really did not expect that. My mom wanted to frame the scroll you guys gave me when I showed it to her. So, with all those lame emotions out of the way, let's go down to cold steel and brass tax. This was a god damned world championship after all. And the gladiators grinding their teeth in the elimination rounds are about as far away from novices as they come. Representing the Stockholm in a Bottle crew, Cermak hit the scene with a bang two years ago. He won the coveted Rookie of the Year trophy for the 2016/2017 season, picked up a Giant Shark in Arvika, and then followed that up with a Top4 at n00bcon 9. 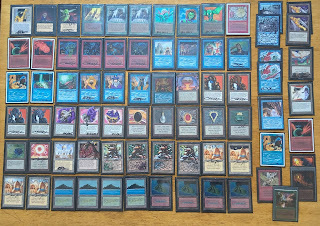 Apart from a slew of truly impressing tournament finishes the season leading up to n00bcon X (including a win at the Horrible Horse gathering, a second place at the 2018 Arvika Festival, and - perhaps most impressive - a second place at The Wizards' Tournament), Cermak is known as a great deck builder, tournament organizer and community profile. 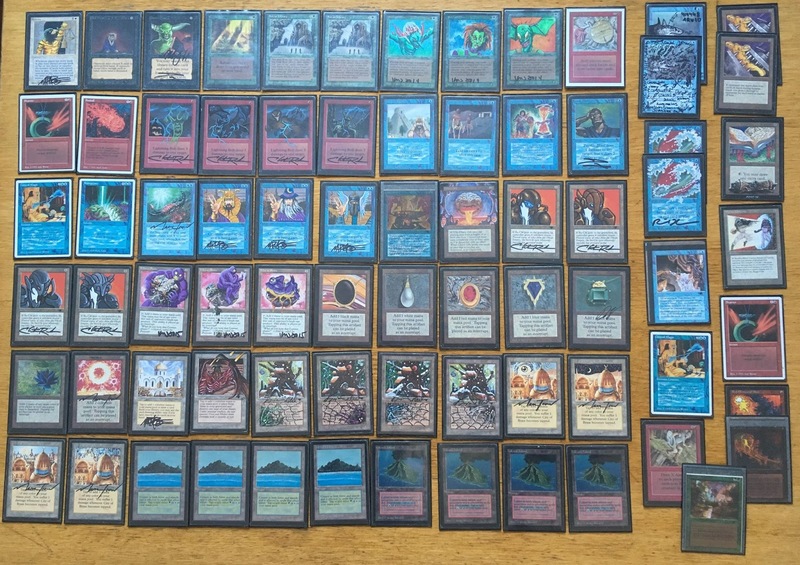 His Old School Magic 4 Life group is the largest Old School Magic page at Facebook, and his King of the Archipelago tournament series (an all expenses paid tournament at a boat in the Stockholm archipelago) is one of the more unique gatherings in the format. Combine that with being credited as popularizing the White Zoo archetype and taking down Alphaspelen 3 with main deck Personal Incarnations, and you have a force in the format to be reckoned with. Simon Gauti is one of the earlier adopters from Denmark, representing red and white at the championship since n00bcon 7. The Danish scene has grown a lot in the last year, and so has Simon's gauntlet and training grounds. A highly proficient Vintage player at heart, Simon never ceases to impress whenever he gets to sleeve up Moxen. Kalle is one of the reasons we play this format at all, and probably the single most important reason I still play Magic altogether. He is one of the original founders of 93/94, as well as the guy who pretty much makes all the original art related to this blog and n00bcon. That banner up here is his making, as well as all the yearly n00bcon pins, last year's playmat, this year's t-shirt, and what have you. He is also the host of the "Head Tournament" the day after n00bcon, as well as just a spectacular human specimen. Among the more braggable stats on his tournament resume is a win at n00bcon 7 as well as being one of only two people to hold more than a single Giant Shark. Uh, yeah. It takes some effort to have the most blinged out deck at a tournament like n00bcon, but this is probably it. I don't know where to start describing all the unique pieces. All wb cards are Summer btw, except the really crazy ones (like the square cornered test print Wheel of Fortune). The artist alters and reinterpretations are kinda hard to wrap the head around. And he has two Giant Sharks in his sideboard :D If we ignore the share insanity of the deck, it is a midrange deck with some control elements. Four Su-Chi and three Erhnams are the main beatsticks, backed up by sweet burn and a miser's suit of counterspells. The only guy with a perfect record in the swiss, Tibia is a son of Gothenburg and another familiar face around the top tables at n00bcon. Last time we saw him grace the top8 was at n00bcon 8, when his weapon of choice was UR Burn. Even though he is supremely versed in the format and has played at this gathering since around n00bcon 4, it is possible that Tibia might be a fairly new face for many readers. I talked to Gordon a little about it during the stream, and yes, there is of course a large native scene in Gothenburg still. They are just kinda low on the social media accounts and rarely travel far to play. The Gothenburg scene randomly hosts 20+ player gatherings with locals, but don't really write about it on facebook. Still keeping it underground, and still one of the weirder scenes. I think the cradle city represented with seven players this tournament, and at the end of the swiss, we found two in the top four of the standings and two in the bottom four. Go hard or go home. Love to the locals. Åland provided the framework for this deck when he first piloted it at BSK last November. I saw the potential of Savannah Lions, and since then we have been evolving the deck together. White is the best color in 93/94 and Disenchant is the best card in the format. So the build starts with four Disenchants. Then you want cheap and effective threats. The fact that also Savannah Lions, Swords to Plowshares and Serra Angel are white clearly doesn't make things worse. Blue is the second best color and Serendib Efreet is the best creature. Four of those. The fact that blue also gives you access to Ancestral Recall, Time Walk and Timetwister is also pretty sweet. City of Brass makes it easy to splash powerful off-color cards like Demonic Tutor and Mind Twist. We back this up with Bolts and Blasts for reach. The main plan is then to deploy effective threats at the same time as you keep the opponents threats and blockers / factories at bay with the burn. Then we'll just win the eventual race with Serra Angel. The big advantage of this deck is that it doesn't play counterspells. We can without any hesitation have a very aggressive game plan, and we'll never end up in a situation where we want to play a threat but at the same time keep two blue open for Counterspell. 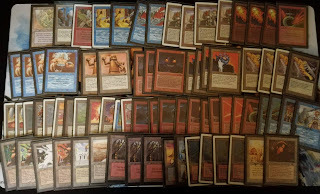 Sideboard is basically Circles, Armageddon, Red and Blue Blasts, and Shatterstorm. Valerio! Valerio was one of the first Europeans, and certainly the first Italian, to write a guest post on this blog. 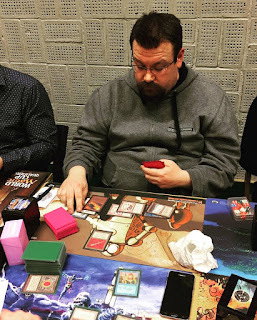 Way back in the dark ages of 2015, when he placed 2nd at the 60-player Ovino Old School tournament (back then without Black Lotus in his deck, something that Valerio seems to have corrected since ;)). 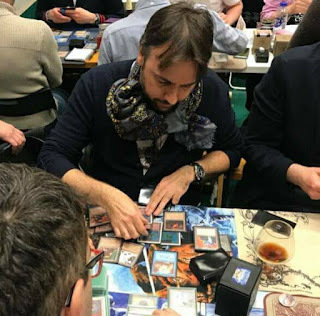 Valerio is not only one of the premier Italian players and a content provider, he was also one of the last guys to sneak in an invite to n00bcon. Planning a trip in Sweden with his lovely girlfriend at the time of the tournament, he casually contacted me and let me know that they would be in the city if a spot would open up. His strategy proved fruitful, his tech took him all the way to the top4, and the rest of the players got the chance to hang out with a cheerful Italian lady as the top8 unfolded. Win-win-win. Valerio's weapon of choice is a lethal Atog aggro pile, splashing blue for Serendib Efreets along with some extra power. Praying on greedy mana bases with Blood Moons, keeping card engines honest with his playset of Back Vise, and letting big beaters finish the job alongside some burn. This is a deceptively deep pile with some interesting choices. E.g. the sideboard Juggernauts to turn the beatdown up to eleven when needed (or to switch out the Efreets when boarding in City i a Bottle), as well as the 2-1 split between Detonates and Shatters maindeck are sure to stir some conversations. 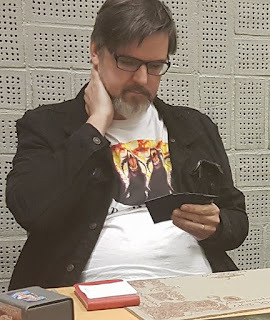 From the place where the sun never set, Brother Ben of the Fire made a triumphant return to the Swedish turf for n00bcon X. He first showed up at the tournament last year as a member of the British Hill Giant team (honestly, median height of the team members was something like 9 feet; Ben is taller than an average oak), and piloted a sweet pile of stone cold Legends creatures like Lady Evangelina. 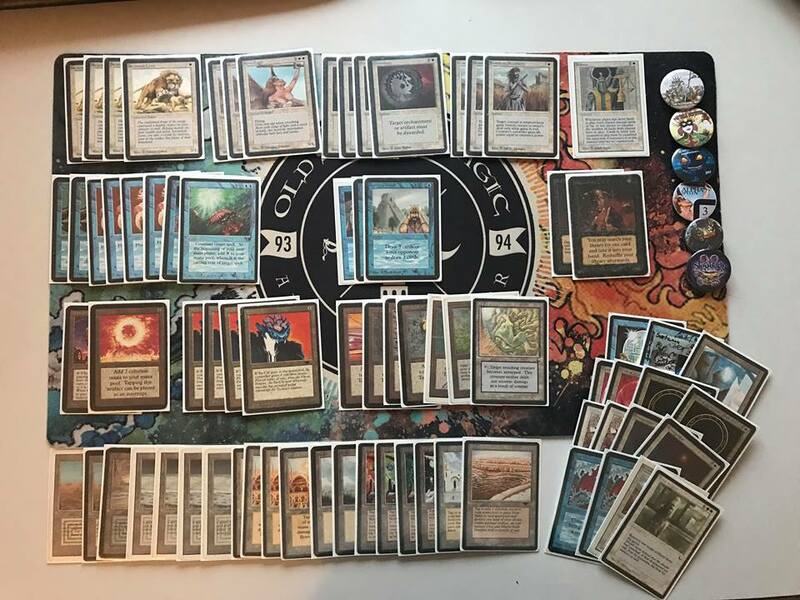 This year, Ben earned his invite by winning the Old School Team Championships in the UK, and it seems like that taste of glory may have had him step up his deck to something slightly more powerful this year. That's a slight uptick in effectiveness. I do find some humor in that the other control deck in the top8 played with Moat (over The Abyss) and no Serra Angels, where Ben plays with The Abyss alongside Serra Angel. Though I kinda get the idea; I assume that Serra Angel is not really a Serra Angel but rather a replacement of the fourth maindeck Jayemdae Tome, either due to availability or due to the fact that a Serra is better than a fourth book against aggro. Actually had the exact same nonbo in my version of The Deck I played at the last Arvika Festival. My excuse was that I didn't own four books and had to settle with three. What's your excuse Ben? ;) Among the other notable card choices we have the Scrubland and of course the Spell Blast. Countering Black Lotus never felt so good. And it is super techy to have a hard counter you can resolve with only one blue mana up. Olle Råde is, like, a super good Magic player. He also stays mostly sober during tournaments, which is a little like doping. (editor's retraction: Well, turns out Olle did in fact down his beers like a viking at n00bcon. It just didn't seem to affect him). Dude has won BSK twice and holds the format's coveted Giant Shark. 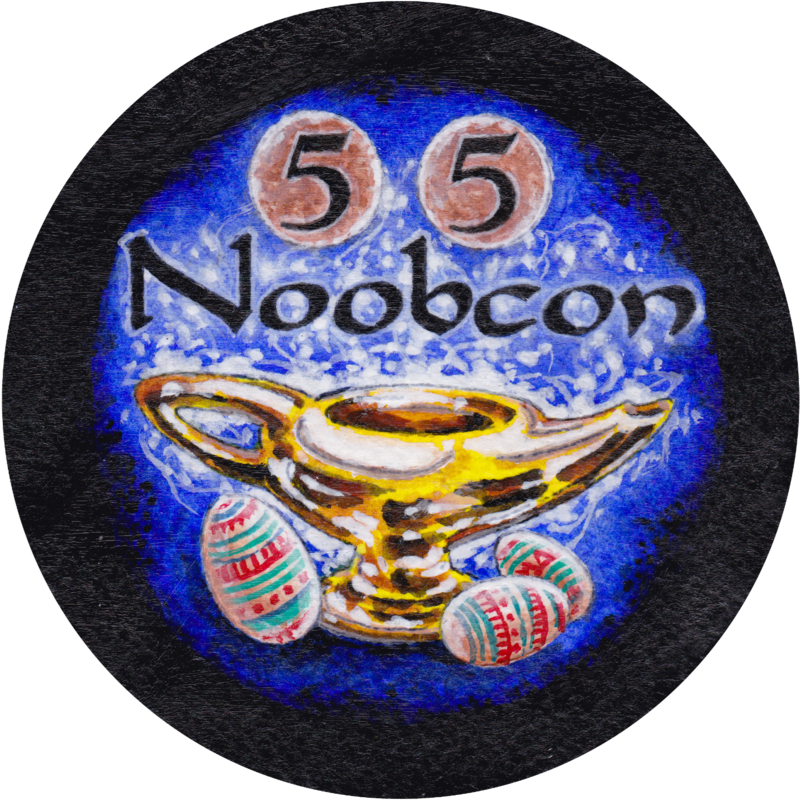 The title of n00bcon Champion may be one of the few things he may still even consider to be on his old school bucket list. Or just general Magic bucket list for that matter, which e.g. includes PT, GP, PotY and Invitational wins. Olle is a journalist by trade, and when he doesn't share his stories in the Gothenburg daily newspaper he can occasionally be seen freelancing pro coverage at the WotC mothership. He also wrote a sweet guest post on this blog a few years ago. Another random fact is that his father is an actual wizard, so there's always that. 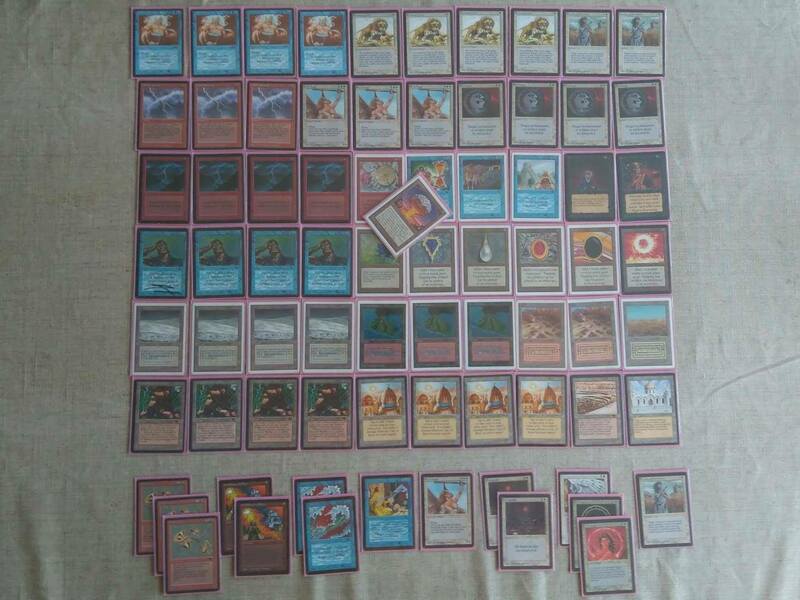 UR Burn has become something of Olle's signature deck in 93/94. He took down BSK 2017 with a similar list, and we also saw him wielding it in the elimination rounds back at n00bcon 8. 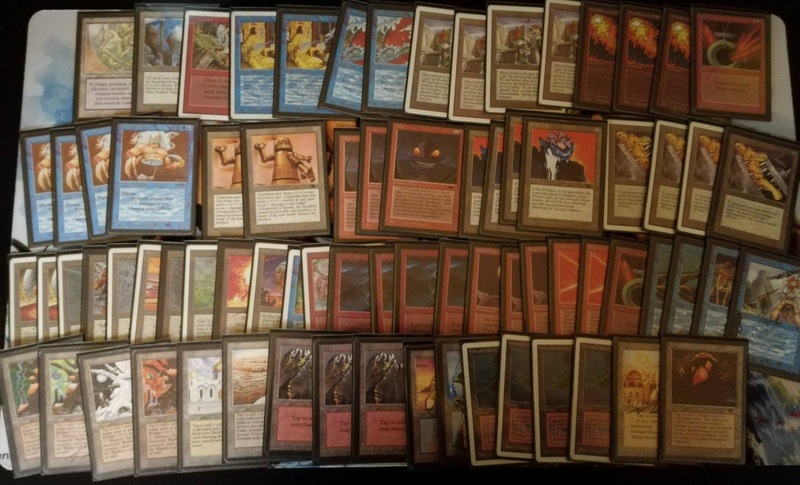 UR is one of the consensus strongest decks in the format, by newer players sometimes described as the "Delver Deck" of old school magic. It combines permission and reach with some of the most effective threats the card pool has to offer. Throw one of the strongest players to pick up the game behind the wheels and we'll have a recipe for top8. 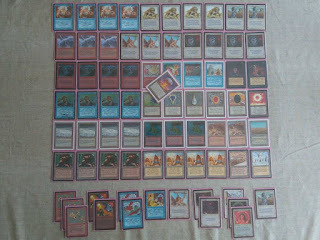 Alban Lauter has quickly reached a reputation as the contemporary "German Juggernaut" of 93/94 Magic. His recent stats from tournaments in Germany and surrounding countries are just staggering. But as for qualifying for n00bcon goes, high standings in tournaments are only rarely the way to go. Many of the communities have been giving out their invites by things like lotteries, quizzing, or even placing in the bottom of a given tournament. So even though Alban won the German qualifier tournament, that didn't give him an invite for n00bcon. The huge Fishliver Oil Cup in Italy did give out an invite to the winner, but at that one Alban "only" finished second place. 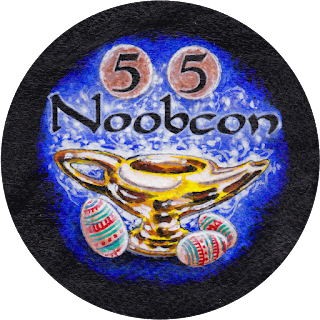 A few weeks before n00bcon however, the guy who won Fishliver Oil had to decline his place, and Alban was passed down the invite by the organizers. Well before that, in fact long before Alban had an invite, he was my bet to win this year. I assumed that he would eventually pick up an invite somehow, and he plays at a level above a majority of the field. He was of course still my bet when Gordon and I discussed who would win the tournament during our commentary on the stream at the start of the swiss. So while I can't say that I was really surprised to finally see the first non-Swede pick up the Shark at n00bcon, I am throughly impressed :) This was Alban's first top8 at n00bcon, though he did finish 9th at n00bcon 8 two years ago. Alban is known to many as a highly proficient The Deck player, but this year he went for a home brew. The one-two punch of Savannah Lions plus Serendib Efreet has proved immensely powerful in the format. Alban's list is far more controlling than e.g. 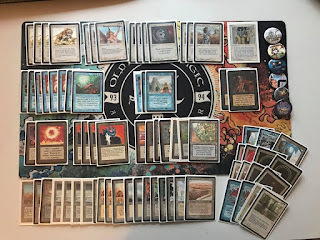 Tibia's Fantasy Zoo (which puts more emphasis on speed and burn), and somewhat more so than Cermak's (which can take a much more midrange role with Su-Chis and more Angels). Where e.g. Tibia plays two Swords to Plowshares, Cermak plays three and Alban has the full playset. Alban is also the one guy among the three Lion-players in the top8 to run Counterspell, making his brew somewhat closer in spirit to UW Skies than Fantasy Zoo. Ninth place player was btw some guy named Seb. Sounds familiar, but I'm not sure who that guy might be. And there we have it! Thanks for an awesome weekend, and congratulations to all you crazy wizards both in and outside the top8! Ayuh! Greetings from a long-time lurker from Australia! Have been waiting to hear about this. Sounds like you guys had a ball - must have been awesome to see so many enthusiasts gathered. And the collected cardpool must have been amazing! There's many years of scavenging gameshops and last-minute ebay bids that went into those decks! Lions and Dibs did their jobs it seems. Wonder if there were (m)any younger players picking up the old school? Was the atmosphere still casual or are things getting serious enough for people not to bother if a full play set of power is somewhat out of reach? Thanks for the many years of inspiration - keep up the fun and this great blog in all its majesty and and hope to sling some spells with youse one day when n00bcon comes to Aussie-land!! It’s exciting to see savannah lions making an impact here. Cool decks all around. Great read. Noticed that the winning deck and Cermack's deck shared at least 45 cards (! 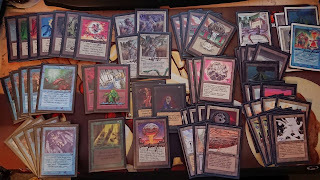 ), including full playsets of Serendib Efreet, Savannah Lions, Disenchant, Tundra, Factories + singleton restricted cards like Mind Twist, Dem Tutor, Balance, Library, Sol Ring, Chaos Orb, Mana Drain, Braingeyser, the P9. Maybe more Red (Blood moon, REB, Bolts) / Black (specters + Dark Ritual) is needed to beat these UWb decks next time? @joost: Thanks man! Yeah, it was a pretty crazy collection of cards in the room :) I would say that there are quite a few new people picking up the format, feels like every tournament I attend is someone's first. 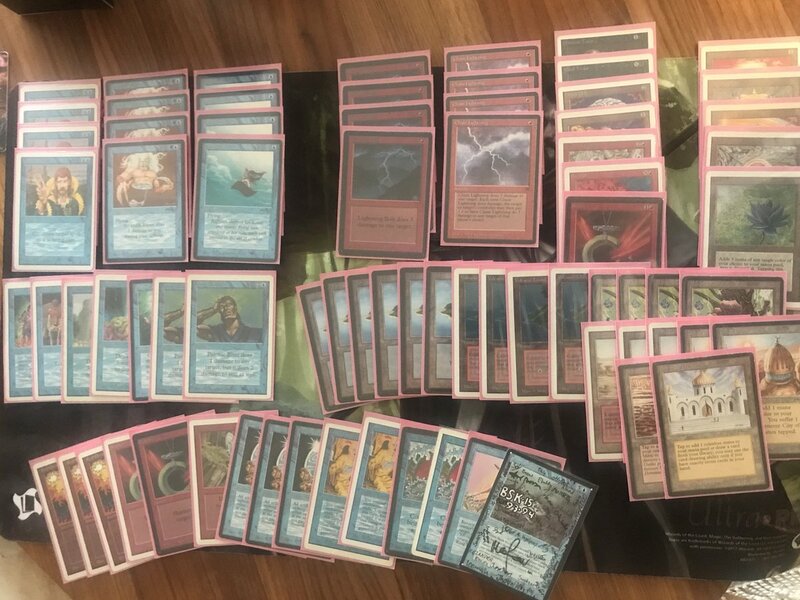 n00bcon might be a little special in that you have to qualify in some way for the gathering, which means that most of the players here are well entrenched in the format and mostly have a larger cardpool than the average 93/94 player. Still, there were powerless players here as well of course. And I don't think that having low odds of winning the Shark discourages players from having fun here that much. People keep playing at th 0-6 tables after all ;) That said, it is possible that it was a little crowded this year. If the players are for it, I'm considering cutting down to 90 players or so for next year if that would improve the ambiance further. @Anonym: Highly possible. Maybe even Maze of Ith could be a card to shine. In particular, a huge shout out from Switzerland to Gordon and yourself! I truly had a blast watching the coverage. The way you guys commented the tourney reflected perfectly what the spirit of oldschool is! Great read. Great community. Great event. One of the best experience I have ever had. Thanks for everything Mg. And thanks to Gordon and Kenneth too. Thanks a lot Valerio, was a pleasure to have you! 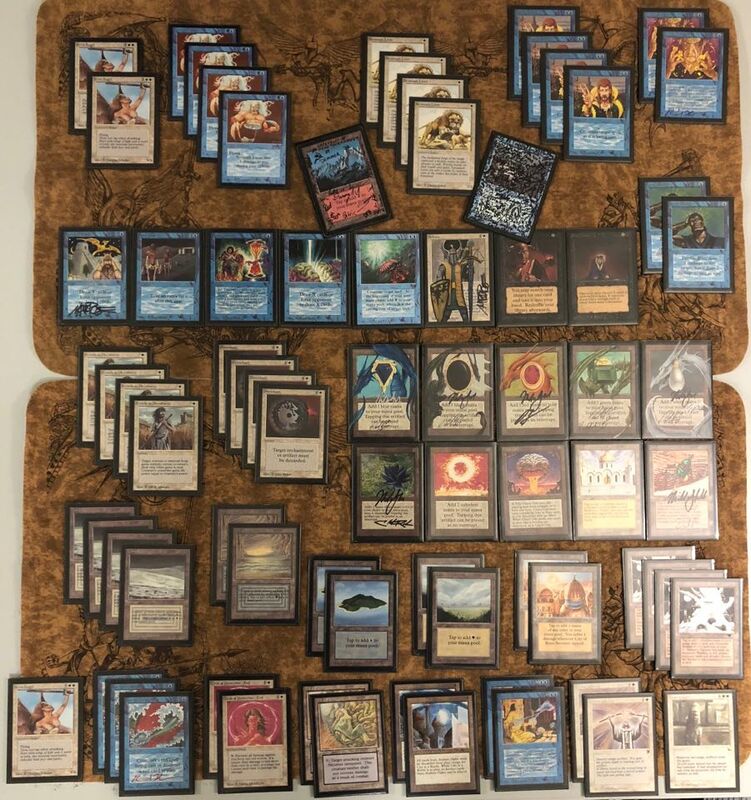 @Anonym: sure it will be needed to tune at least part of the Sideboard Vs. fast creatures (Lions over all); this could mean to add Chain Lightning, Earthquake, Fireball, Terror, Maze of Ith, REB, Moat, Spirit Link as possible options. But only few of this are useful also Vs. Control... Perfect Meta! Superb write-up! I love the deck/player showcases, they add a lot of flavor. Hopefully someday I'll get to attend a n00bcon!